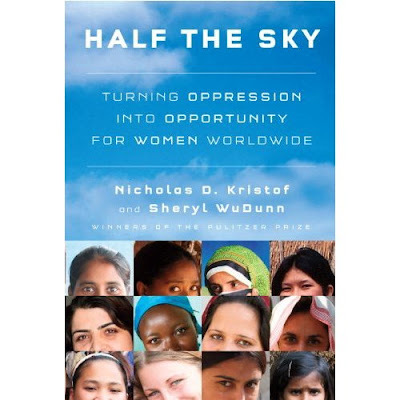 Nicholas D. Kristof and Sheryl WuDunn's Half the Sky: Turning Oppression into Opportunity for Women Worldwide will almost certainly be judged one of the most important books of the year. Kristof and WuDunn argue that improving the situation of women in the developing world is the key to solving a host of problems in international relations and development. 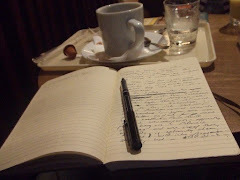 I've excerpted a few of the book's comments on education below. You can purchase the book here or at your local bookstore - I recommend buying it in hardcover to move it up the bestseller lists, show your support for Kristof and WuDunn's efforts, and pass the book to a friend or two when you have finished reading. Consider the costs of allowing half a country's human resources to go untapped. Women and girls cloistered in huts, uneducated, unemployed, and unable to contribute significantly to the world represent a vast seam of human gold that is never mined. The consequence of failing to educate girls is a capacity gap not only in billions of dollars of GNP but also in billions of IQ points. We've repeatedly described educating girls as the single best way to lower fertility, improve children's health, and create a more just and dynamic society. (We should promote a) $10 billion effort over five years to educate girls around the world and reduce the gender gap in education. This initiative would focus on Africa but would also support - and prod - Asian countries such as Afghanistan and Pakistan to do better. The aim would be not just to fund new schools, with DONATED BY THE AMERICAN PEOPLE written on the sides, but to experiment with finding the most cost-effective ways to support education. In some countries that may be providing school uniforms to girls from poor families, or deworming communities, or providing scholarships to the best-performing girls, or helping girls manage menstruation, or supporting school lunches, or extending Mexico's Oportunidades program to Africa. These approaches should be rigorously tried on a randomized basis, and assessed by outside evaluators, so that we can determine which are most cost-effective. The second initiative would be for the United States to sponsor a global drive to iodize salt in poor countries, to prevent tens of millions of children from losing approximately ten I.Q. points each as a result of iodine deficiency while their brains are still being formed in the uterus. One study after another has shown that educating girls is one of the most effective ways to fight poverty. Schooling is also often a precondition for girls and women to stand up against injustice, and for women to be integrated into the economy. Until women are numerate and literate, it is difficult for them to start businesses or contribute meaningfully to their national economies. One of the most cost-effective ways to increase school attendance is to deworm students. Intestinal worms affect children's physical and intellectual growth. Indeed, ordinary worms kill 130,000 people a year, typically through anemia or intestinal obstruction, and the anemia particularly affects menstruating girls. When deworming was introduced in the American South in the early twentieth century, schoolteachers were stunned at the impact: The children were suddenly far more alert and studious. Likewise, a landmark study in Kenya found that deworming could decrease school absenteeism by a quarter. Education and empowerment training can show girls that femininity does not equal docility, and can nurture assertiveness so that girls and women stand up for themselves.